This is one of the best Middle Grade and mystery books I’ve read in a while! I don’t read a lot of Middle Grade books, but this one immediately captured my attention with the beautiful cover and interesting blurb. And I am so glad I won a copy of this book in a giveaway. 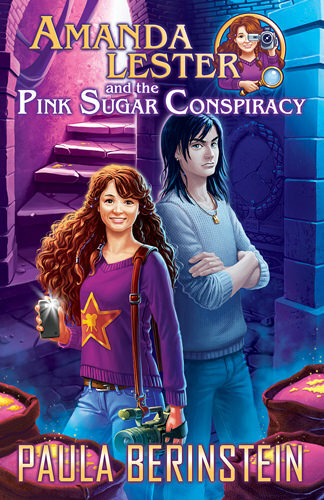 Amanda Lester and the Pink Sugar mystery is about a girl named Amanda, who wants to be a filmmaker, but her parents want her to be a detective as they are descendants of Lestrade and they sent her to a school to become a detective. Lots of fictional detectives are real in this book and there’s a secret school where the descendants of famous detectives can go to learn what it takes to be a detective. The boarding school for detectives was really cool and interesting and it made for a great setting. I also liked how the book is set in modern times and things like phones, internet, camera’s and 3D printing all made an appearance. I loved this book and had so much fun reading it. The story had me hooked from the first page and I had a hard time putting this book time, telling myself I would read just one more chapter and then one more chapter etc. This book is very well written and I really liked the author her writing style. The pace is well done and there isn’t a dull moment. Also while this is a Middle Grade book it is suited for readers of all ages. The feel of the book reminded me a bit of Harry Potter but instead of wizards and magic this book has detectives and mysteries. It also had a pretty mature feel and even deals with serious topics, like criminals, death, murder, kidnapping and crime. I haven’t read a lot of books about detectives, so it was fun to learn more about them. And the mystery was done really well. It’s obvious the author did her research before writing this book. Strange things start happening and then there is the class project and just like the characters I kept trying to find out what was part of the class project and what not. There are lots of clues and slowly things start to make sense. I kept guessing what was exactly going on and only figured it out when Amanda and her friends did. I liked how they talked about the mystery and speculated about what was going on, that way it was easy to keep up with their thoughts and ideas. The pace picks up towards the end when the mystery comes to a conclusion and I couldn’t put the book down till things calmed down a bit. There was a really well done plot twist towards the end that took me by surprise and I really admire the author for how well she wrote that part. 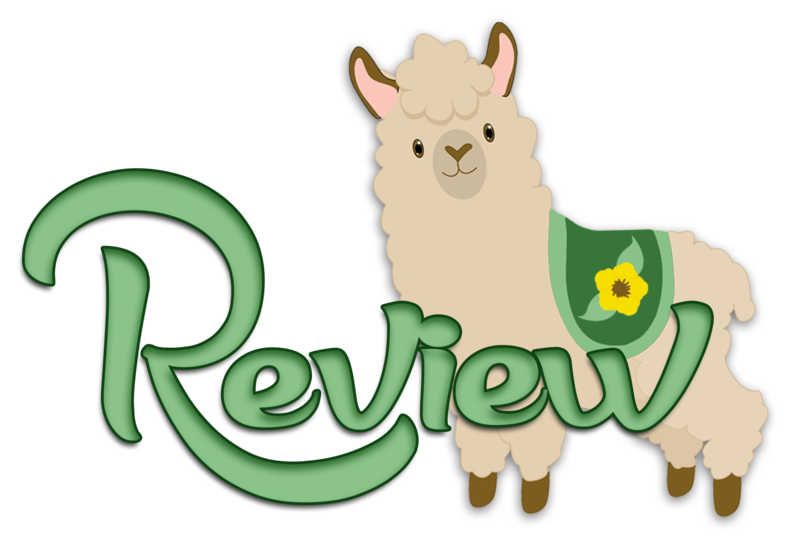 The sugar conspiracy made for a great mystery and I liked how the author still made everything feels believable and real, it all made sense and I really liked that. After the fast paced scenes, things calm down a bit and the plot lines for this book are neatly wrapped up, while the stage is set for the next book and a hint of what to expect next. While I would describe this book as story driven, the characters also play a big part and are well developed. I instantly connected with Amanda with her slight control freak tendencies and she was such a great character. She is very smart and capable. She wants to be a film-maker, but now she has to go to a school of detectives, which she hates. It was fun to see her opinion of the school change as the book progressed and she finds her place eventually. She also has her flaws, which made her even more real. She makes some mistakes, but also realizes that and tried to prevent it from happening again. Then there are some awesome side characters, like her friends Nick, Simon, Ivy, Nigel and Amphora. I especially liked Ivy, she is blind, but doesn’t let that restrict her from becoming a detective. She has a great guide dog Nigel, who was adorable, and her hearing is fantastic and she helps Amanda and the rest out quite a few times with that. There is a hint of a possible romance with Nick, but there’s not a lot of focus on that. I got a good feel for all of the characters and liked meeting them. I am looking forward to see more of them in the next book. We also get a feel for most of the school teachers and they all had some kind of quirk or background. There are also some extra’s in this book that make the world come alive even more. The stunning cover and back cover show two scenes from the book and give readers a feel for what the characters look like. You can also see character sketches of the characters on the author her website. Then there is a floorplan of the school and a list of classes and what they are about. I wish I could go to this school and follow some of the classes as they all sounded so interesting. I am really happy I had a paperback copy as while reading I sometimes flipped back to the start of the book to check out the floorplan of the school and see where the characters were then and where certain rooms and classes were located. It really helped the whole school and characters come alive and I could vividly imagine how everything looked like. To summarize: I loved this book, I was hooked from the start and enjoyed figuring out the pink sugar conspiracy alongside Amanda and her friends. The story is really well written, kept my attention and had a consistent pace. There is a great plot twist towards the end. I only figured out what was going on with the mystery and who was behind it alongside Amanda and her friends. The characters are great and I really liked Amanda, she was smart and capable, but also had some flaws. There are also some great side characters, like Ivy, Simon, Nick and Amphora. The floorplan and cover made it easy to imagine how everything looked and I liked the extra’s in the book like the class descriptions, reading group questions and a Q&A with the author. I could vividly imagine everything and I had a lot of fun reading this book. It’s a great book suitable for readers of all ages. I can’t wait to read the next books in this series and experience more of Amanda her adventures! What’s the best book about detectives you’ve read? Oh, I love reading middle grade books! I haven’t read much about detectives, unless you include paranormal or urban fantasy mysteries, but I’d so love to read something like this – maybe like Nancy Drew or The Hardy Boys again. Definitely looking for this book on Christmas! Thank you, Jee Ann! Nancy Drew was a big influence on me, so you will definitely see that at work in the Amanda books. I am reading more mysteries this year, but this was my first book with real detectives. I haven’t read Nancy Drew, but I think another reviewer compared this with Nancy Drew. I hope you can get this book for christmas :). This is one of the best MG books I’ve read in a long time, I like them, but don’t read a lot of them. I thought it was fun that she wasn’t descendent from Sherlock, but from a minor character instead. If you’re going to make an exception to not reading MG books, this book is definitely the right one to make an exception for. It was an awesome book and I can’t wait to read the next books in the series! This sounds like a fun read 🙂 I don’t read a lot of middle grade either, but do make exceptions, so I think I’ll have to check this one out for myself! Thank you for sharing, and great review! This book is definitely worth making an exception for! It was so good! I like MG books, but they really have to catch my attention for me to give them a try. This book grabbed my attention from the moment I saw that pretty cover and it was even better than I expected. I was a detective story reading freak when I was a kid- Nancy Drew, Hardy Boys, Trixie Belden, the Three Investigators, Sherlock Holmes (and Lestrade), Agatha Christie, and lord there were a lot. As an adult, I like mysteries of all sorts, but I gravitate toward historical mysteries. But this, this sounds so fun. The training school idea is cool. I might have to revisit my childhood and grab it then maybe pass it around to my nieces and nephews. I never have read any of those detective stories and only read a few dutch mysteries when I was younger. I stayed away from mysteries until this year and I am so glad I am giving this genre a try as I’ve found some great books so far! Looks like a good book for those who like that genre. Thanks for the great review. Thanks for stopping by :). It was a great book and I can’t wait to read the sequels! I don’t read a lot of middle grade books. In fact, the only ones that I’ve read as an adult are the Kelley Armstrong/Melissa Marr trilogy that they finished up this year. This looks really cute though. Great review. I read about 6 MG books this year I think. I realy enjoyed the Kelley Armstrong/ Melissa Marr trilogy. Most MG books I pick up as I enjoyed that author their other books, but sometimes an MG book like this one that I hadn’t heard of before catches my eye. There are some really good Mg books out there, but they have to really catch my attention for me to give them a try. That’s so awesome you won the giveaway! Congrats! I hope you’ll enjoy this one as much as I did. Reading more MG is a great goal. I already read a bit more this year and hopefully I can continue that trend in 2016 as there are some great MG books out there.